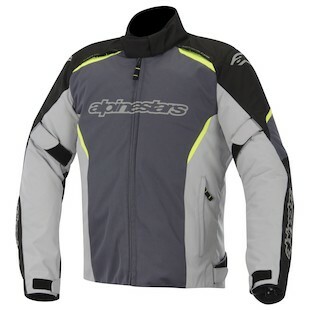 Alpinestars Gunner WP Jacket: It's Your Right! Want to exercise your 2nd Amendment rights, but don’t have a firearm to open carry? Well, you’re in luck . . . provided you appreciate irony. Alpinestars has a new jacket on the horizon, and if it sounds familiar - it’s because the name hasn’t changed. 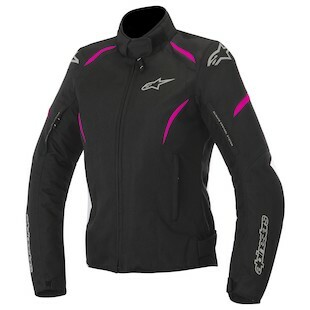 The Alpinestars Gunner WP Jacket is a welcomes update in the company's apparel line. It fulfills that niche that isn’t quite adventure, but more than a weekend warrior. If commuting is your bag, or riding in the rain tickles your fancy - the Gunner WP is perfect. It retains much of the style and fit that Alpinestars textile jackets are famous for, but with a fully waterproof / breathable lining baked into the shell. Should the mercury hit the floor, there’s also a thermal liner. Will it get you to Tierra del Fuego and back? No shot. Will it keep you warm and lookin’ fly on your commute into work? Yup. The differences between the old Gunner and the new are few, but notable. There’s more arm adjustment, a sportier design and fit, and a different vent scheme on the back. Where there was once a lower zip vent, there is now a passive vent on the upper back. And if you have an extra meaty neck to support that big noggin of yours, there’s now a garage on the neck strap so you won’t tear yourself up with feisty Velcro. And if conquering Western Europe is on your to-do list, you’ll be happy about the Napoleon pocket, which is now waterproof. Point of advice: invading Russia is a terrible, terrible idea. Even with a warm thermal liner. At the same time, The Alpinestars Stella Gunner WP Jacket brings all of the same functionality to the table, yet with a cut specifically designed to better fit the frame of a female rider. Available in both Black/White and Black/Pink, the functionality of the jacket will be the same as that of the men's, yet with a slightly different construction for more feminine lines. Some gripes? The venting doesn’t go straight to your body, so if you have the thermal liner in - prepare to be toasty. That, and there’s no gun holster for my new H&K. Well, you can’t have everything.